What is the Bumble Bee Watch App? Bumble Bee Watch is a citizen science project dedicated to tracking and conserving North America’s bumble bees. The Bumble Bee Watch app is the best way to learn and engage with bumble bees around you and to contribute sightings to this important citizen science project. It is a comprehensive and easy to use resource that is geared towards all levels of nature enthusiasts. 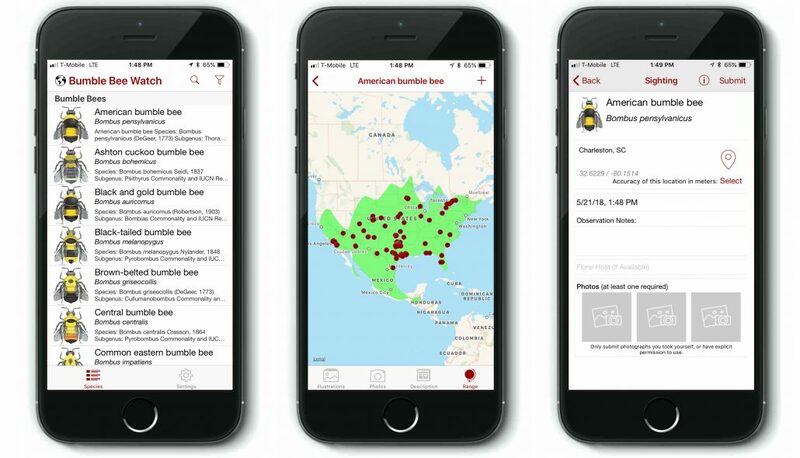 The Bumble Bee Watch mobile application is an important conservation tool. It was developed through a collaboration between BirdsEye and the folks at Bumble Bee Watch. For more information about Bumble Bee Watch, please visit their website here.